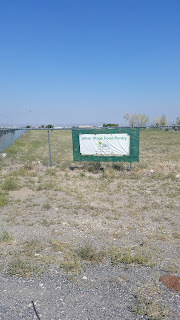 We left Sac town and hopped back on the river trail. When we got to one of our turn offs, I couldn't get out of my clips. 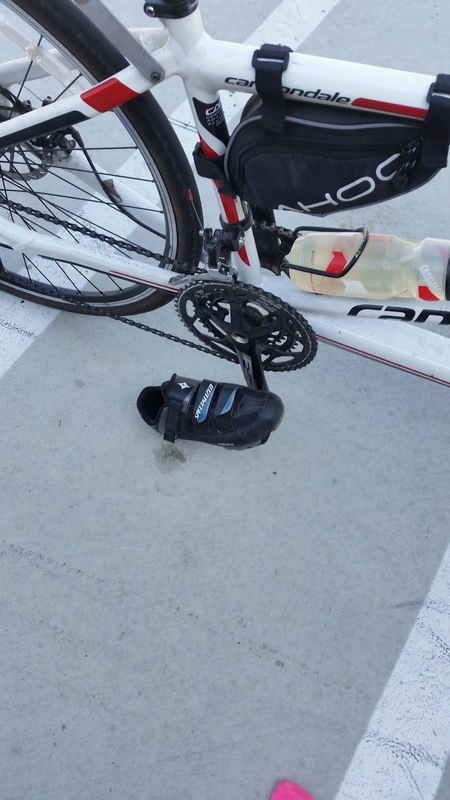 So I just left shoes on the bike. :) People have been pretty nice about passing us and giving lots of room. We have been impressed with the California drivers. 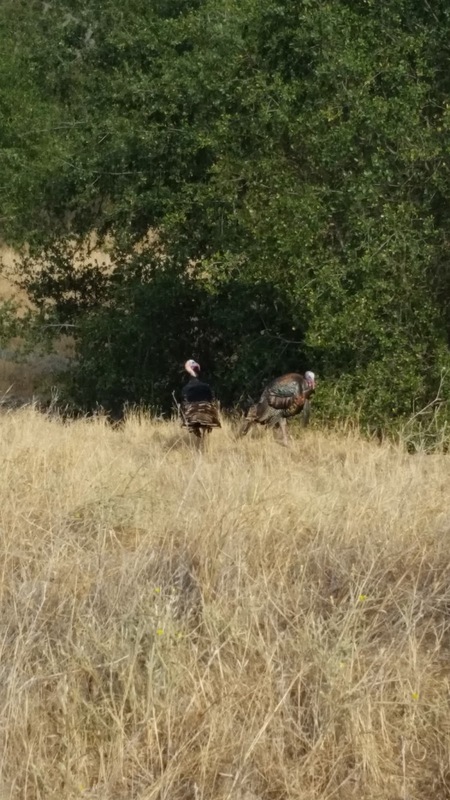 Saw a bunch of wild turkeys and the trail was great. We rode to Placerville where we met up with Baron for lunch. It was a hot day and we knew we had a lot of mountains to climb. Our chain fell off twice and once was when we were hauling down a big hill. 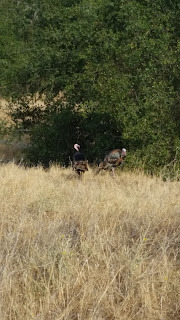 As we came back up the other side of the hill, 4 miles/hour I heard a lot of rattling in the leaves. A stinking rattlesnake was hiding in there and could have caught us since we were going so slow. 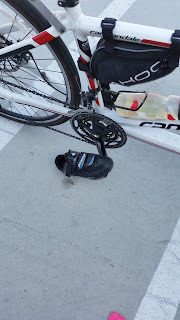 After 12 hours in the saddle, we finally ran out of daylight as well as getting a flat tire! What a day. We had to call Baron for help. It was a long, steep day with 8000 ft of climbing. I really was thinking that today was Breaking the Spirit instead of Breaking the cycle. Brutal is the word. 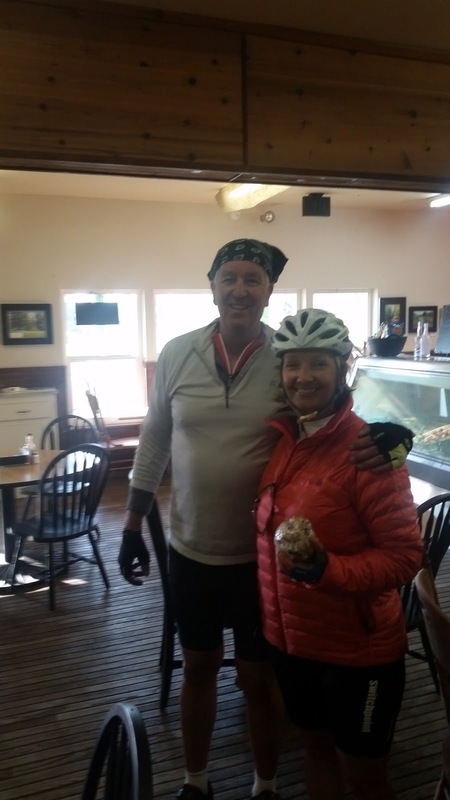 Day 3- We rode from Kirkwood to Fallon, NV- 108 miles and it was so cold in the morning, had to keep stopping to get the blood flowing. 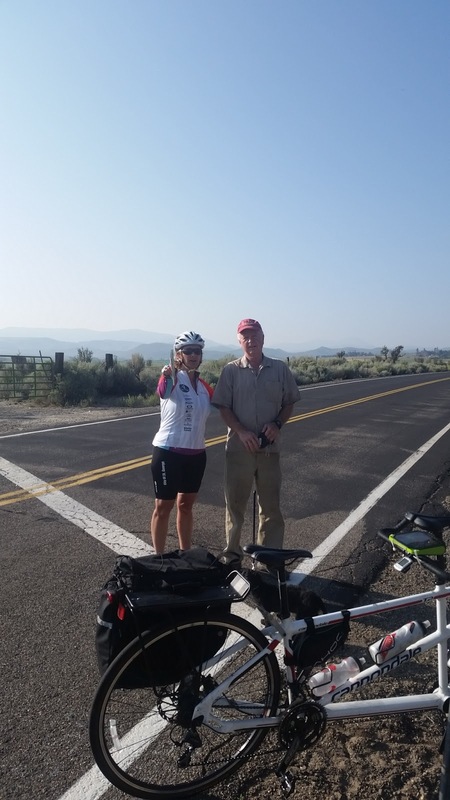 Then when we got to Carson, NV, a friend -Chris Barber-we haven't seen in 11 years met us and rode with us to Fallon. Chris is a ultra marathoner and ex pro cyclist. He took it easy on us and gave us lots of tips. 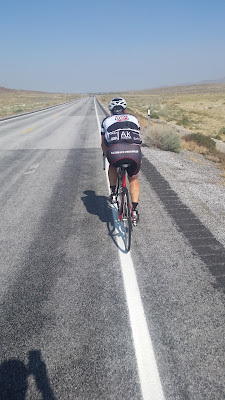 So fun to ride behind him and learn from the best. 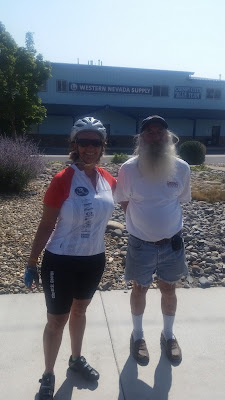 Burt, who we met on the Nevada/California line! Chris was the master mechanic. 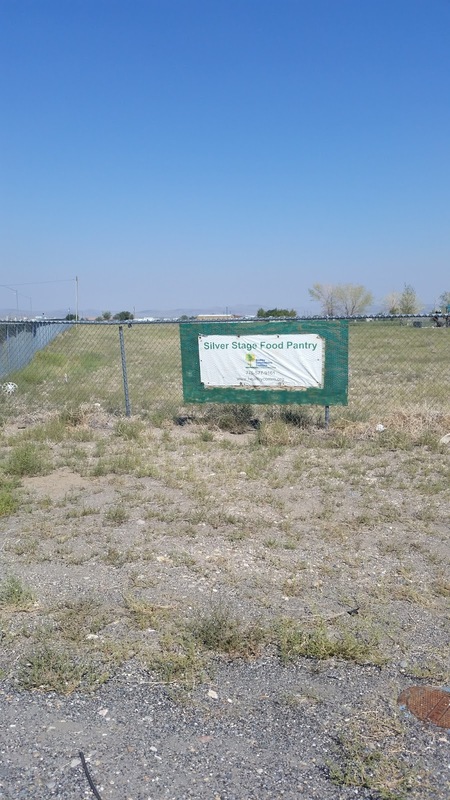 We saw several food pantries on the ride today. They are all small and run by volunteers to serve the rural communities. I look forward to watching your progress. You guys are awesome.